My sister-in-law sent this Planes lunch set to me this summer. It was from the Target dollar spot, which coincidentally has been turning more into a $3 spot. We got to see the movie this summer. I must say that the sequel, in my opinion, was much better than the original. Time for a bento version of Planes Fire & Rescue. 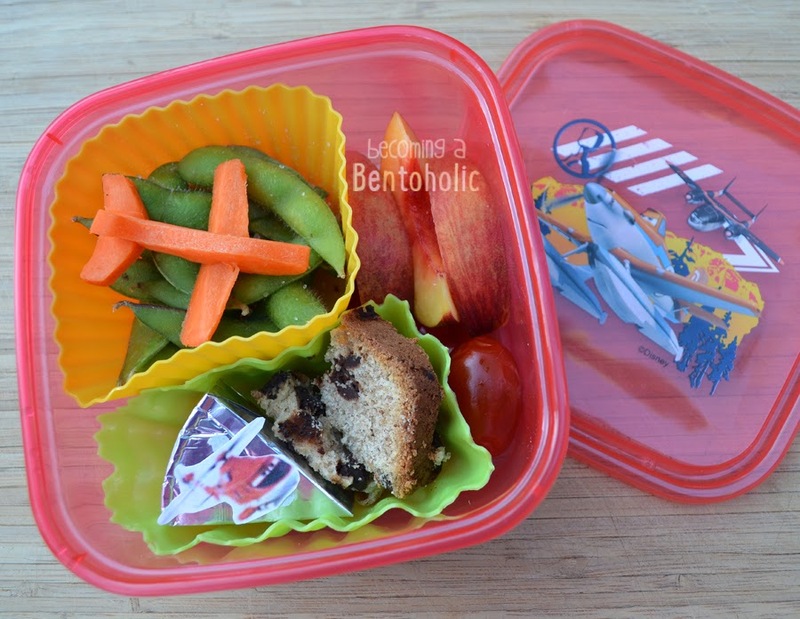 In this bento: Edamame, 3D airplane carrot (Dusty), nectarine wedges, grape tomatoes, Laughing Cow cheese with a Blade Ranger sticker for decoration, and banana bread. Cute little lunch, I LOVE that plane cutter, it's so cool isn't it!